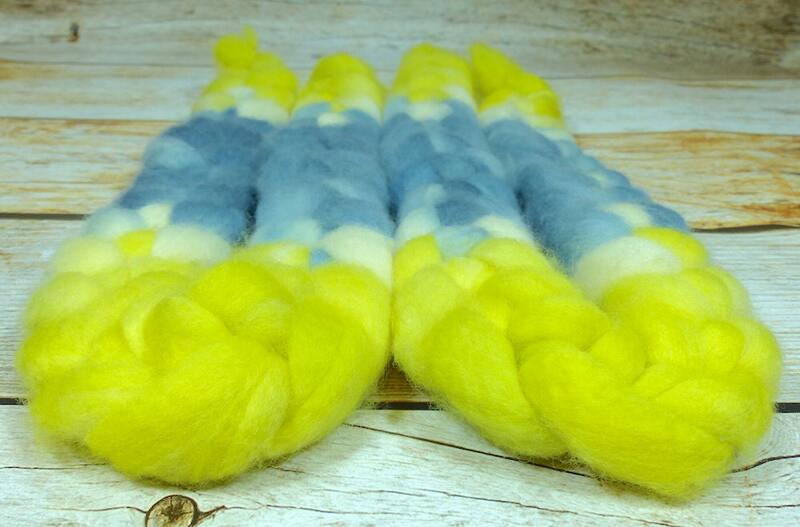 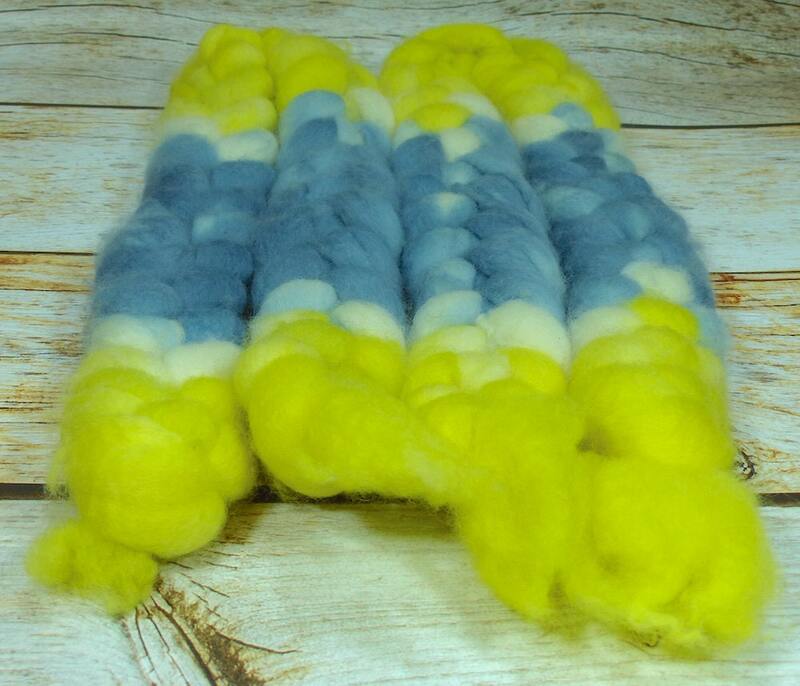 Summer Breeze / Handpainted Llyric SW BFL Combed Top/ 4 oz. 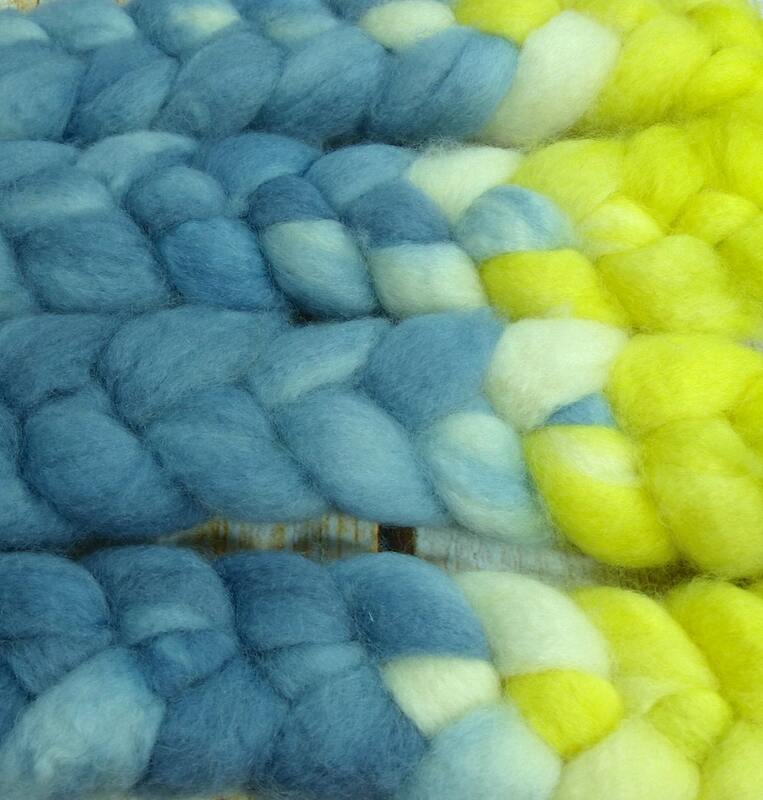 Approximately 4 ounces of Superwash Blue-Faced Leicester combed top. 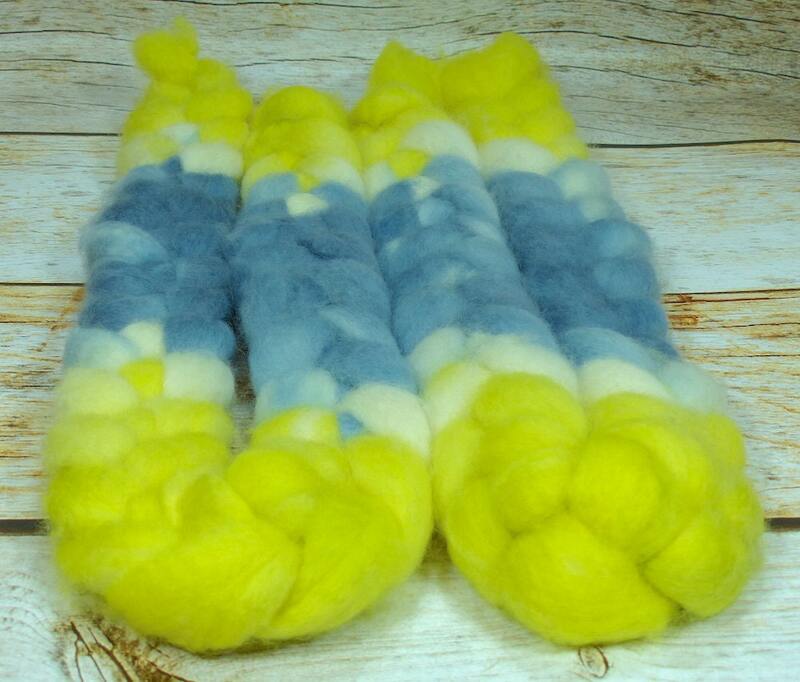 This fiber has a staple length of about 3.5 inches with lovely crimp and is next-to-skin soft.